· LIU, S., JONG, M. S. Y., YIN, H. B., LEUNG, H. F. and CHEN, M. Y., 2019. Design of a “Micro-Module Bank” for Facilitating Higher Education Teachers to Adopt the Flipped Classroom in Practice. In: Proceedings of International Symposium on Educational Technology 2019, Hradec Kralove, Czech Republic, 2 - 4 July 2019. IEEE. · ZHU, C. X., LEUNG, H. F., HU, S. Y. and CAI, Y., 2019. A Q-values Sharing Framework for Multiple Independent Q-learners (Extended Abstract). 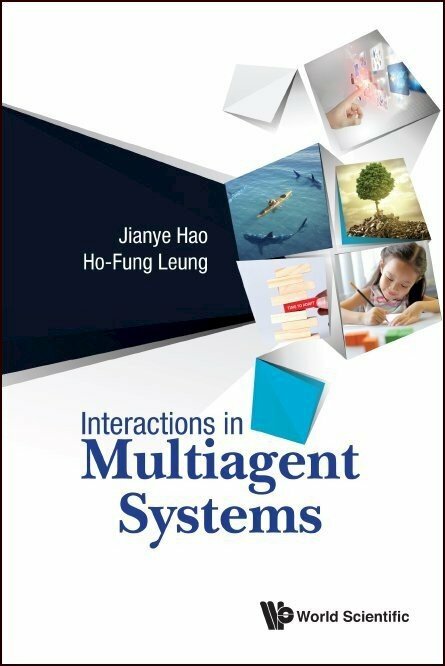 In: Proceedings of the 18th International Conference on Autonomous Agents and MultiAgent Systems, Montreal, Canada, 13-17 May 2019. International Foundation for Autonomous Agents and Multiagent Systems. · HU, S. Y., LEUNG, C. W., LEUNG, H. F., and LIU, J. M., 2019. To be Big Picture Thinker or Detail-Oriented? Utilizing Perceived Gist Information to Achieve Efficient Convention Emergence with Bilateralism and Multilateralism (Extended Abstract). In: Proceedings of the 18th International Conference on Autonomous Agents and MultiAgent Systems, Montreal, Canada, 13-17 May 2019. International Foundation for Autonomous Agents and Multiagent Systems. · YANG, K., CAI, Y., LEUNG, H. F., LAU, R. Y. K. and LI, Q. 2019. ITWF: A Framework to Apply Term Weighting Schemes in Topic Model. Neurocomputing. · CHIU, D. K. W., HUNG, P. C. K. and LEUNG, H. F., 2010. Challenges and Opportunities for Service Intelligence: The Next Wave of Service Computing, Guest Editorial Preface. Int. J. Organ. Collect. Intell., Special Issue on Service Intelligence: The next wave of Service Computing, 1(2), IGI Global. · BOONGASAME, L., BOONJING, V. and LEUNG, H. F., 2007. A Community Compromised Approach to Combinatorial Coalition Problem. In: World Academy of Science, Engineering and Technology, Volume 33. WASET, 58-63. [ On-line article supplied by WASET ]. · NG, K. W. and LEUNG, H. F., 1989. And-parallel execution of logic programs based on the competition model. In: Y. Ci, J. Xu, L. O. Hertzberger, and Z. Shi, eds., New Generation Computer Systems: proceedings of International Conference on New Generation Computer Systems. Beijing, China, April 1989. International Academic Publishers, 321–326. · NG, K. W. and LEUNG, H. F., 1988. The competition model for parallel execution of logic programs. In: R. A. Kowalski and K. A. Bowen, eds., Logic Programming: proceedings of the Fifth International Conference Symposium. Seattle, United States, August 1988. The MIT Press, 1180–1187. · NG, K. W., LEUNG, H. F. and YU, C. S., 1988. AND-parallel execution of logic programs. In J. S. Gero and R. Stanton, eds., Artificial Intelligence Developments and Applications: Edited Selection of Papers from the Australian Joint Artificial Intelligence Conference, Sydney, Australia, 2-4 November 1987. North-Holland. 195–206. 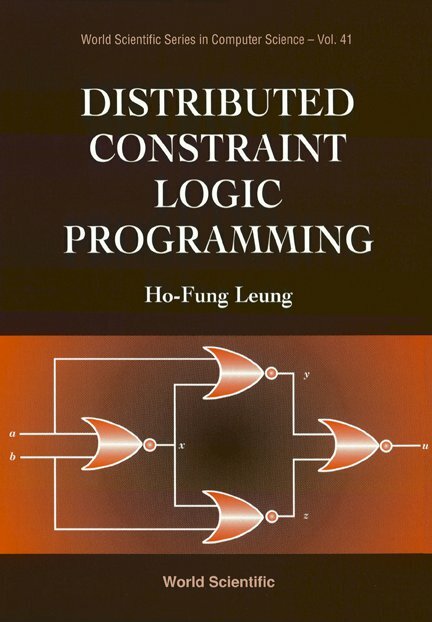 · NG, K. W., LEUNG, H. F. and YU, C. S., 1988. AND-parallel execution of logic programs. In: J. S. GERO and F. SUDWEEKS, eds., AI'87: Proceedings of the Australian Joint Artificial Intelligence Conference, Sydney, Australia, 2-4 November 1987. Organising Committee of AI'87. 394–406.